Shimla: To motive and ensure women’s participation in the electoral process, the election commission has set up 136 Women Managed Polling Station in the state. Pushpendra Rajput, Chief Electoral Officer stated that each constituency will have 2 Women Managed Polling Stations. In these polling station total women police personnel and all women employees would be deputed for duty. 1-Churah (SC): 30-Buin polling station at Tissa and 32-Kaswati Bhanjraru. The state is poised to poll on Nov 9 and result will be out on 18th December, 2017. The state has 68 Assembly Constituencies and 17 seats were reserved for Scheduled Caste and three for Scheduled Tribes. Pushpendra Rajput said that the electoral rolls had been revised and as per the final publication the total electors in the State are 49, 13,888 which are likely to be increase after final disposal of new form No.6 received during special campaign run in the state from 16th to 30th September, 2017. Rajput reiterate that 100 percent photo electoral rolls would be used during the general elections. 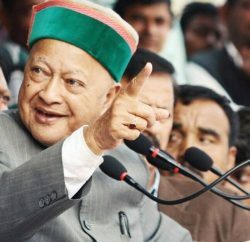 To ensure transparency in the election process, the election commission has decided use EVM with VVPAT in all the 7521 polling stations of 68 Assembly Constituencies of the State for Himachal Elections 2017. 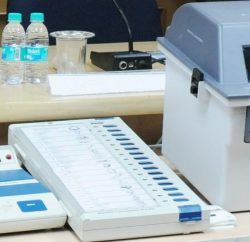 The VVPAT will be used for the first time in the assembly election which would enable voter to see the name and symbol of the candidate for 7 second to whom he has casted his vote.